In response to a question, Mr. Golovinov said that among the most popular activities in Kharkiv Hillel are classes in Jewish tradition, which attract about 40 people on a regular basis. Those individuals who are the most comfortable in this subject matter often work with a Jewish teen club at the JDC-sponsored Jewish community center, attempting to pass on Jewish tradition to a younger generation. Kharkiv Hillel members also enjoy volunteering; they have worked in a res-idential facility for at-risk children and a hospital, and have also cleaned pub-lic parks, playgrounds, and Jewish cemeteries. Some Hillel students work as madrichim or leaders in JDC-sponsored family camps. They also have played a leading role in a city-wide Week of Good Deeds. 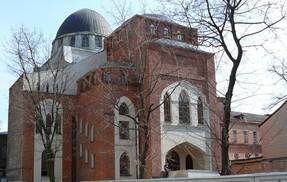 Kharkiv Hillel is well-known for creative activities, particularly drama and musical productions. In addition to these group activities, independent Hillel student artists were scheduled to draw, paint, or photograph Jewish sites in the region; a select group of 20 student artists also would visit historic Jewish locations in western Ukraine, such as Berdichev and Uman. An exhibit of their work will be mounted at a central location during the next academic year. 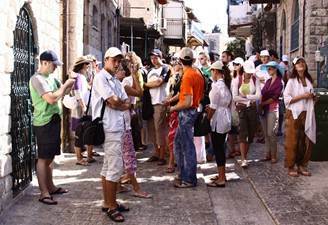 Taglit (birthright Israel) trips to Israel remain popular. Kharkiv Hil-lel organizes at least one 40-person Taglit bus every year. Kharkiv Hillel students in Jerusalem during a recent Taglit trip. Kharkiv Hillel continues to host student groups from abroad, having been visited recently by a group from Yeshiva University in New York and a Hillel delegation from the University of Michigan. The University of Michigan Hillel students joined with Kharkiv Hillel members in several volunteer projects, including repairing homes and cleaning yards of elderly Jews in Kharkiv and in the nearby smaller city of Konotop. 37. Boris Murashkovsky, the veteran director of the JDC hesed in Kharkiv, stated that the hesed provides services to 9,500 clients in Kharkiv and the surrounding area. About 2,500 of these individuals live on monthly pensions of $100 or less, he said, which enables them to pay for utilities, but is insufficient to cover the cost of food and medicines as well. They generally do not pay various maintenance assessments from their apartment buildings and many live in fear that they will be ejected from their residences for failure to fulfill these financial obligations, Mr. Murashkovsky said. He is aware of several homeless Jewish families, he said; usually, they live in entrance ways in various buildings, including apartment houses, residing with their few remaining belongings until they are ex-pelled by apartment owners who do not want ‘vaga-bonds’ living in common space. Boris Murashkovsky, left, is a veteran and articulate director of the JDC hesed in Kharkiv. In general, said Mr. Murashkovsky, people become homeless for either of two reasons. Some, he explained, have been swindled out of their apartments in some sort of scam. Others, he said, have fallen into serious debt and are forced to sell their residences in order to pay creditors (some of whom are racketeers). Economic conditions in Kharkiv continue to deteriorate, Mr. Murashkovsky stated. He expects more Jews to become homeless. In response to a question, Mr. Murashkovsky said that the hesed no longer operates any hot meal programs or distributes food parcels. He noted that Chabad continues to host two dining rooms, one at the synagogue that feeds 40 people daily (and 70 on Shabbat, according to Rabbi Moshe Moskovitz) and one in the building of the lower school that feeds 30 people on weekdays. Hesed Board members provide some individual financial support to these nutrition programs, said Mr. Murashkovsky, but such support is individual philanthropy and not a hesed allocation, he stressed. The hesed now addresses nutrition needs only through the sale of discount cards that seniors purchase in order to receive discounts at a specific chain of supermarkets. In all, 1,300 people, almost all of them elderly, receive homecare through the hesed, Mr. Murashkovsky stated. Two hundred of these individuals are bed-ridden and almost totally isolated, he continued. He believes that expanded homecare services should be a priority for the hesed, but resources are lacking for further development of homecare services. 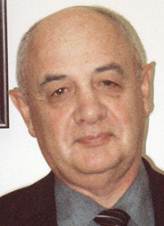 As he had done in previous years, Mr. Murashkovsky bemoaned the difference in care available to Holocaust survivors and those of comparable age and need who were not in an area occupied by the Germans during World War II. Those ineligible for Claims Conference support are aware that others in more-or-less the same health situation are receiving more services; the former are very resentful of the latter, he said. In addition to caring for Jewish elderly, Mr. Murashkovsky continued, the hesed provides some assistance to approximately 1,500 Jewish children, including youngsters with developmental disabilities and psychological issues. They also have begun to work with autistic children. Major forms of aid include material support to impoverished families, periodic day care of 80 children in groups according to need, and working with parents to help them understand their children’s needs and provide a supportive home atmosphere. Mr. Murashkovsky stated that the new JDC facility should provide more space for various welfare activities, including a senior adult day care program that will operate in shifts. Some attendees will come by van, he said, and others will take public transportation. Expanded space in the new building also will permit the operation of more special-interest clubs for Jewish elderly. Because the new facility is equipped with an elevator and handicapped-accessible lavatories, JDC also will be able to offer more programs for people with disabilities, he continued. In response to a question, Mr. Murashkovsky acknowledged that, notwithstanding the new building with its great potential, no budget had yet been designated for any new welfare programs. 38. Rabbi Moshe Moskovitz and his wife Miriam Moskowitz have served the Jewish population of Kharkiv for 20 years; a native of Caracas, Rabbi Moskovitz is among the veteran Chabad rabbis in the post-Soviet states and is highly respected in the city and beyond. Mrs. Moskovitz, a native of Australia, also is very active in the community and highly regarded. Among the Moskovitz’s many achievements is recovery of the large choral synagogue and its restoration in the style of its initial design. Originally constructed in 1903, it was used as a sports hall during most of the Soviet period. In addition to a large prayer hall, it now also contains: a basement with a large kitchen and dining hall, medical dispensary, and three class-rooms; a ground floor with the prayer hall and offices; and two upper floors with a total of eight classrooms, several club rooms, and a library. 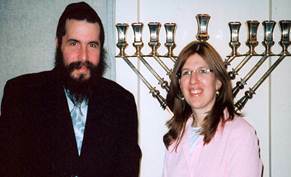 Rabbi Moshe Moskovitz and Miriam Moskovitz are highly regarded in Kharkiv, where they have lived and worked for more than 20 years. The choral synagogue was designed by Jacob Gevirts, a well-known St. Petersburg Jewish architect, and constructed in 1903. The Hillel courses in Jewish tradition have been designed in part to appeal to students who may not be halachically Jewish and thus who are ineligible for STARS study. The Hillel interpretation of Jewish tradition is more open and liberal than that promoted by Chabad and other Orthodox groups.